Do you find that the majority of your time is spent managing things around the house instead of actually enjoying your children and spending time together? Have you asked grandparents to take the kids for a week, just so you could clean the house (Only for it to be in the same state again 2 weeks later…)? Truth is, you’re not alone. New research by UCLA-affiliated social scientists concluding that American families are overwhelmed by clutter in their daily life. Living in a cluttered home can create a subtle, constant, sense of stress. Anxiety over clutter affects your brain waves and interferes with your sleep, leaving you more fatigued, affecting your hormone levels, and increasing cortisol levels. Some researchers believe this can even lead to weight gain. Clutter also drains us of our time. Those who live in cluttered homes spend more time looking for lost items such as keys, checkbook, bills, shoes, and the remote. The American Demographics Society reports that Americans as a whole waste 9 million hours per day searching for misplaced items, and 23 percent of adults say they pay bills late, with penalties, because they lose them. When clutter takes over, the home, (which should be a hiatus from daily anxieties) can become a large contributor to our overall stress levels. When your life is super busy with long hours at work and/or family activities, it makes all the difference to have a plan for the days. Your week will go more smoothly if you start every Monday with a clean, clear home, a stocked pantry, and refrigerator. Your days off will be more enjoyable if you don’t have areas full of clutter, dishes waiting to be done, and a mountain of laundry. Wanting to cook just so you can spend time in the kitchen. Counters clear of items and ready for any task you have. A fridge where food is easy to find. A table that is ready for a family meal. A living room that is welcoming to any guest, even when someone just pops in. 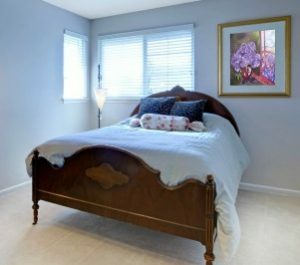 A calm and rejuvenating master bedroom. Free space in your closets. Besides being a 41-year-old mom with 6 kids, living in an 1132 sq. ft home for the last 16 years, I've helped 698 families simplify their own homes through my video courses. I've spent 10 years of my life and countless hours of trial and error to finally figure out how to make the permanent switch to minimalism. For the past 6 years, it has been my joy to be able to share my methods with others and see their lives completely change. I took all of these experiences and created the most comprehensive walkthrough for simplifying, developing new habits, and shifting to a new lifestyle. I help families like yours gain the tools, wisdom, resources, and support to live joyfully through minimalism. This revolutionary system reveals what you MUST do in your daily activity and give you the ability to transform your home and your life —step-by-step! I’ve turned to the proven routines and methods that my husband and I used to get rid of thousands of pounds of stuff. 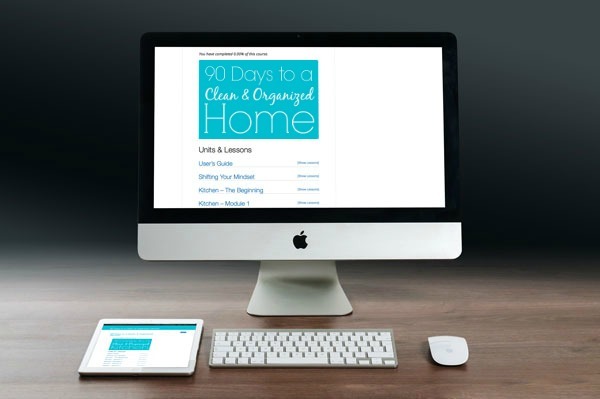 I’ve distilled the essential facts that you need to know down into an easy practical format that will help anyone turn the tide on all manner of clutter problems. 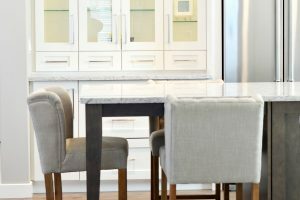 What you’ll find revealed in this one-of-a-kind system are all the simple, time-tested tasks and routines to know in order to turn a chaotic mess into a glorious clear space. You will find the ’Joyful Space System’ will help get you there without the overwhelming feeling when you look at the big picture. Literally, in a month, you could be experiencing the benefits of a minimalist home. 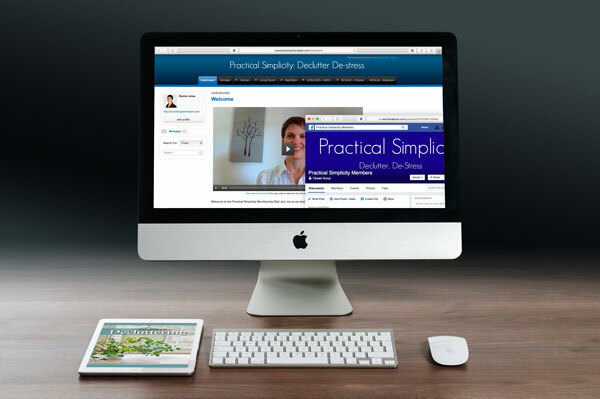 The Practical Simplicity video course is more in-depth, with specific instructions per category, broken down into a timeline to be very thorough and cement the minimalist mindset and intentional habits. We are going to go into detail on how to change the negative thoughts that come into your mind. You will learn how to believe in yourself, to look at the past and get clarity about your decluttering, how to change your future and find the motivation you need that will carry you through the entire process. We’re going to go into detail about setting goals and how to get your goals accomplished. We will work through the kitchen. I’m going to walk you, step-by-step, category by category, and by the end of that month, your kitchen is going to be a welcoming sanctuary that you will enjoy being in when you need to prepare a meal. 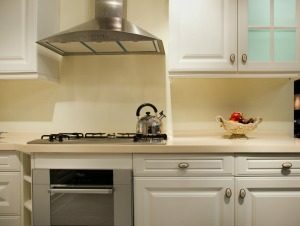 Your clean and organized kitchen is going to set an incredible foundation and you will see just how possible it is to declutter to the extent you want to. The living room and dining room. I know that you want to be able to relax in your living room and use your dining room for family meals. I have laid it all out for you to make big strides every day in this space. By the end of the week, you will love sitting down in your living room with a glass of wine and visiting with your family in a beautiful calming space. This is where you are going to address your personal space. I’m going to talk you through each section of your room, from the dresser tops and decorations to the clothes in your closet. You are going to create a serene and welcoming space for you to retreat to at the end of every day. We’re going to dive into the bathroom, sort through the medicine cabinet, jewelry, vanity, toiletries, decor, and linens. Your bathroom is going to be so clean and peaceful, you will want to have a long, quiet soak in your tub just so you can admire your work. A video series with Van Hagestad. Van is an emotional processing coach and his insight is absolutely invaluable. I can speak from personal experience here that learning to process emotions the way Van teaches has been life-changing for our family and I am so thankful for him and the work he does. He has a way of explaining decluttering these emotionally charged items that really simplifies it for everyone. 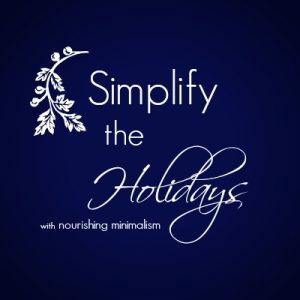 An entire video series walking you through how to simplify the holidays, including how to determine what traditions are a must for your family, how to navigate gift giving, how to keep your schedule open, even with all the invites and obligations, and how to talk to family members about it. When our children see us making changes like this in the home, they are eager to jump in and make the same amazing changes in their own space; therefore, I have 6 videos directed to children to get them establishing routines and decluttering their space. They will be able to enjoy a clean, clear environment that fosters imagination and creativity. A craft room workbook that you can download and work through at your own pace. It gives step-by-step instructions and all the questions you need to ask yourself as you sort, declutter and reorganize your crafting space. This is a pretty big deal for most people, as papers and filing seem to take up so much mental space! 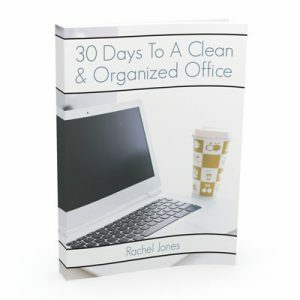 This walkthrough is planned out for 4 weeks to go step-by-step through the office, all the questions to ask yourself, what papers to keep and even how to organize the office closet space and desk. So many times these spaces are the dumping ground of clutter that we just want to avoid dealing with. After you’re done with the main living spaces of your home, creating a clean, clear garage that meets your family’s needs is going to be a wonderful gift for yourself. If you are looking to move soon, here is the step-by-step of how to streamline the packing and moving process. 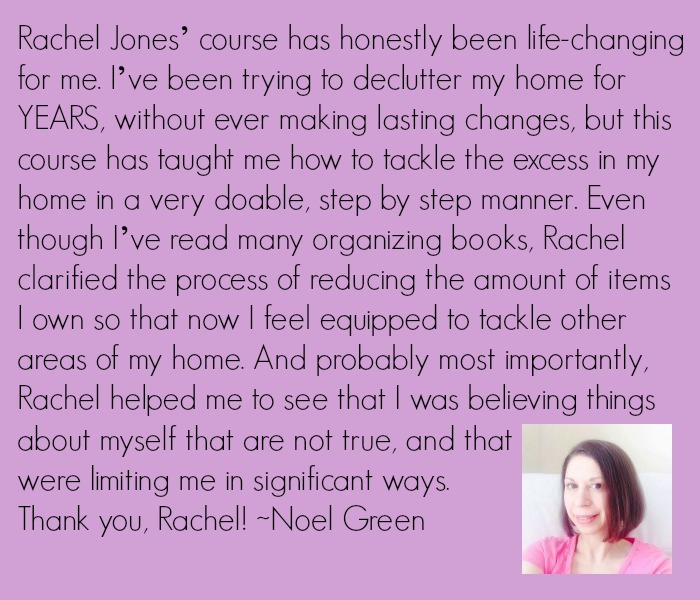 I was hesitant to join the course as I was further along my decluttering journey than others and had already achieved a lot on my own but I got an enormous amount out of the course. It's a wonderful course that supported me to make some lasting changes in my home and in my life. No matter where you are in your decluttering journey, I think you'll find many gems and insights in this course. If you're not sure whether to do the course, I'd say DO IT! 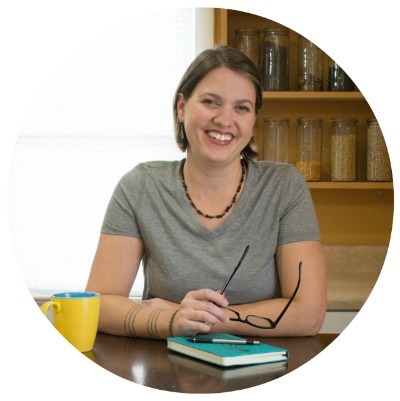 ~ Em M.
I love Rachel's insights on balancing minimizing and family living. She shows how to minimize within a family in practical, useful ways. ~Casey B. The course helped me get going with decluttering. I like the direction and encouragement I'm getting while going through the course, and I'm making good progress on my home. ~Debra C.
I'm writing with a big heartfelt thank you for everything so far!! 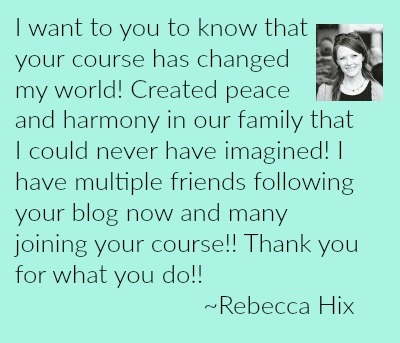 I am SO happy I chose to do your course - I'm so relieved that the 10 weeks ended and that it's ok for me to work through your tutorials at my own pace. I am by no means 'there' - where I want to be, but I have already seen so much positive change in my life - with my job, husband and children - and my own peace of mind! I'm realising this journey is as important as the destination.